Ooh look, discounts and freebies at the Comedy Station Comedy Club Blackpool! 10% Group Booking Discount – Discount automatically applied at checkout. 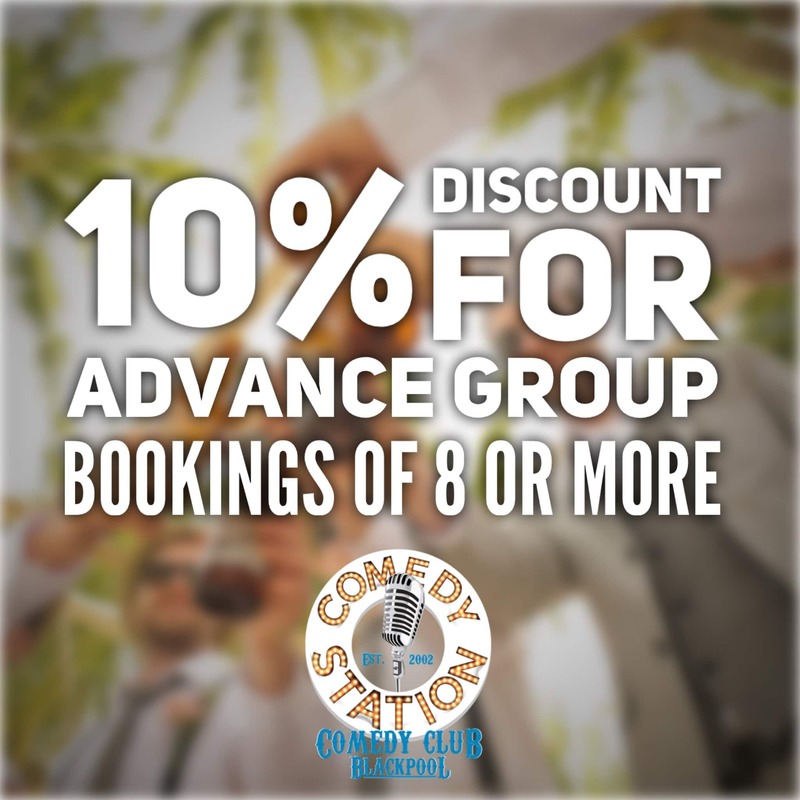 Offer only applies to the purchase of a minimum of 8 Standard Tickets, in one transaction, via the Comedy Station Comedy Club website. Not valid with any other offer. Does not apply to the NHS Nurses, Emergency Service, or Armed Forces tickets. Advance bookings only. 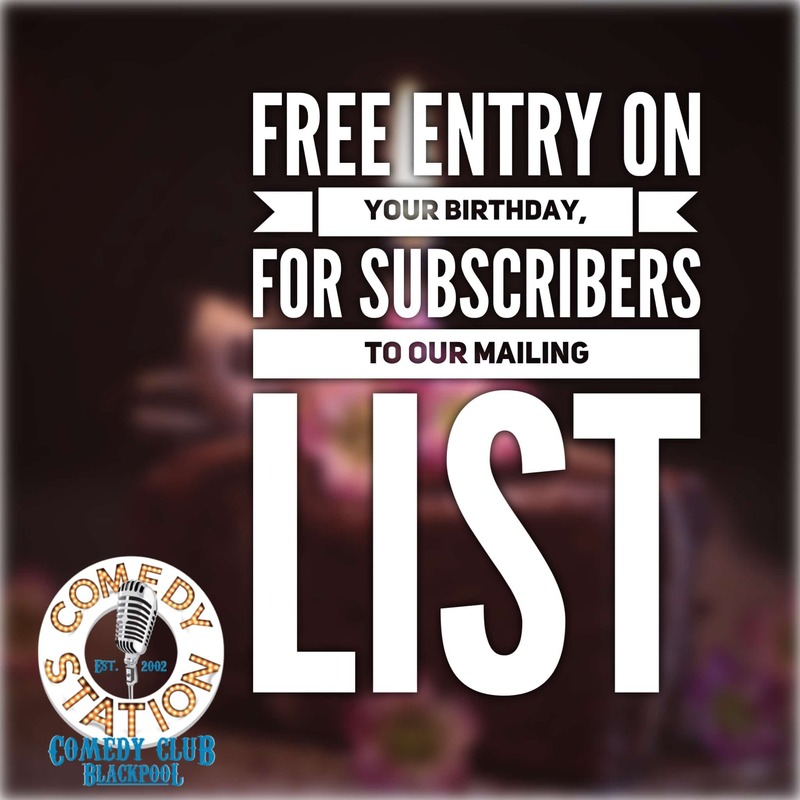 Free Entry on your Birthday – Only applies to existing subscribers to our mailing list, who have also provided us with their date of birth. You will receive an email from us a few days before your birthday, which explains how to claim your free ticket. Evidence of your date of birth must be shown upon arrival (Passport, Driving License, official proof of age card etc.). Not valid with any other offer. Advance bookings only. 25% Discount for N.H.S. 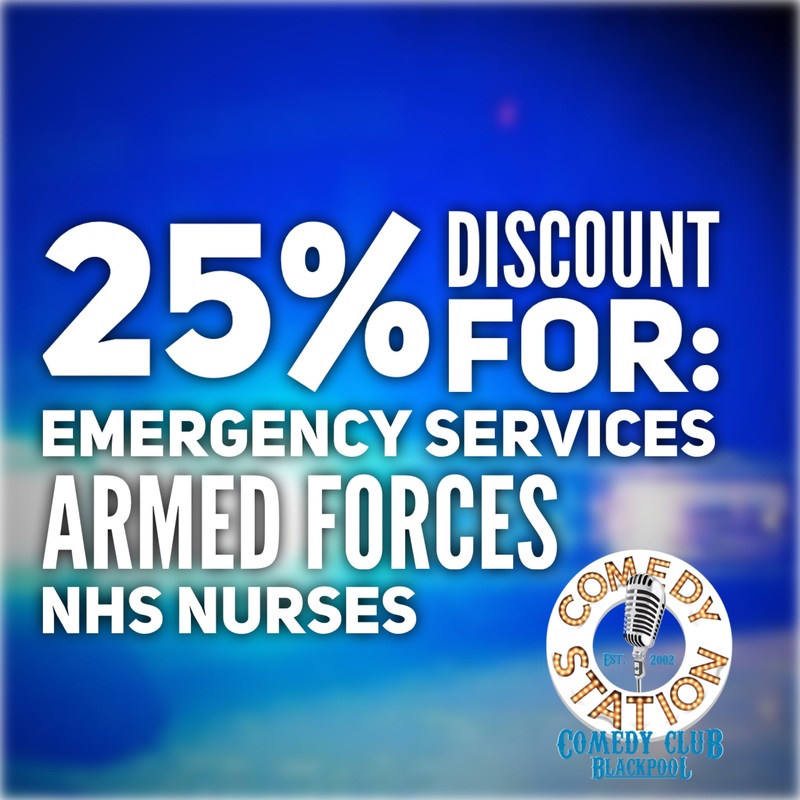 Nurses, Emergency Services & Armed Forces – Only valid for nurses and nursing staff, who are employed by the N.H.S., serving members of Fire Services, Emergency Ambulance Services, Police Services, Coastguard, Mountain Rescue, RNLI, British Army, Royal Air Force, Royal Navy, or Royal Marines. Identification from one of these employers must be presented upon arrival. Maximum of one discounted ticket, per person named on the identification. Not valid with any other offer. Tickets must be purchased via the comedy Station Comedy Club website. Advance bookings only.